Yes, for $3 add the digital edition to my subscription! Your magazine is so very important to me and I learn so much from it, that when I do not receive it, a big part is missing. I cannot tell you just how your magazine, the wisdom, the beauty and the inspirational writings have helped me over the last several years. Your magazine, along with a few other things, have given me the strength to dare to learn and grow and be calm and patient. I am grateful that this kind of quality and deep thoughtfulness exist in a magazine. Thank you for years of inspiration and learning. 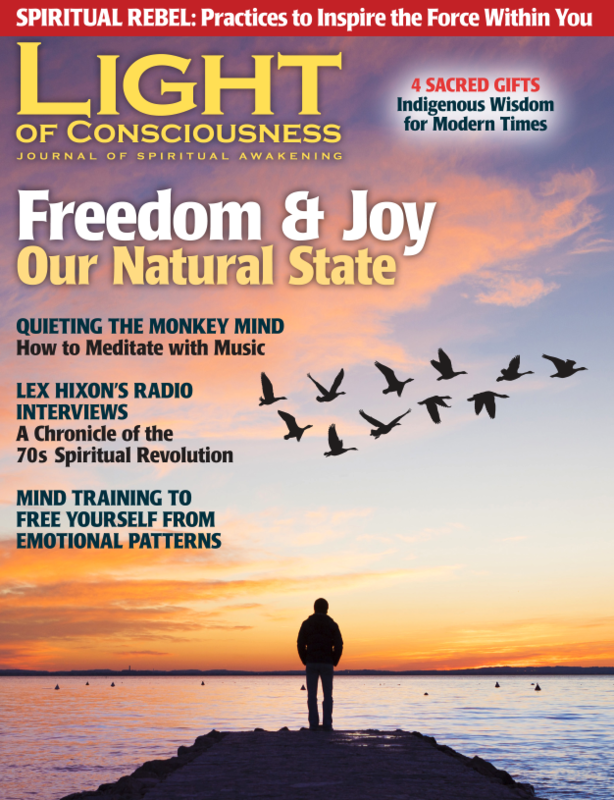 M. L.
Light of Consciousness is the best spiritual magazine I have ever seen, anywhere. Keep up the outstanding work! I like just everything about the magazine and cannot think of any areas where you might improve, except maybe that I wish you came out monthly! M. Z. This is one of the greatest sources of information out there. M. A. Each issue I have first read Gurudeva's satsang and param para. After that, everything else, unfortunately, could not compare. With this issue, I first read the other articles and I enjoyed them. Then I read Gurudeva's precious words. The other works were like the soft light of dawn. Gurudeva's words were light of the full sun, shining in all its glory. So, with my new reading plan, I can enjoy the whole magazine!! Thank you so much for publishing His words. P. P.
I’ve checked off 10 more back copies. (This is my third order. Can't get enough of this kind of info). M. L. B. 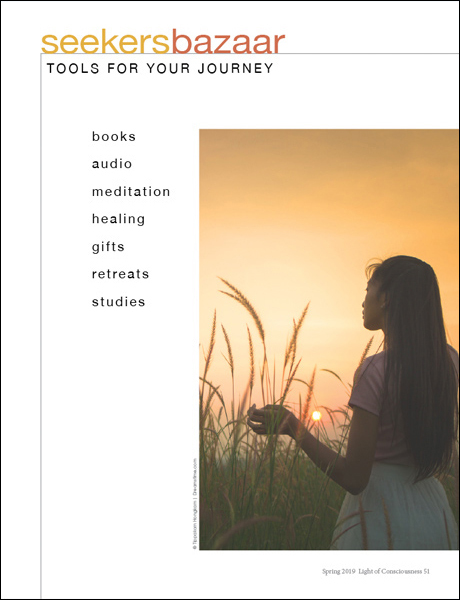 Your magazine is one of the most beautifully printed magazines I know which bring wisdom and beauty to many people, spiritual seekers like me. I know that I can find your publication now on my Kindle book, but nothing will replace the joy of reading your magazine (paper edition). E. C.
I love this magazine. Really inspiring. Thanks. Z. L.
I am so grateful to have Gurudeva's Satsangs available on the Internet radio. Whether His words pierce my ego, or gladden my heart or just take my breath away for a moment, being able to access His words and the powerful Light that emanates from them is a profound gift. D. G. U. 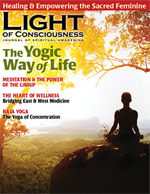 Light of Consciousness is such a beautiful and meaningful publication. K. H.
This is the first time I read the magazine. I just found it and I love it. The article “How to Attain Freedom from the Mind” was most helpful. That was the reason I bought the magazine. D. G.
Wonderful! My favorite publication next to the Shan Zai Newsletter. Please keep up the good, no GREAT work! R. P.
All issues are quite inspiring and truly works of art. WELL DONE! A. P.
I love the magazine. It’s wonderful. N. S.
Light of Consciousness is crafted like an offering to God the way it is put together, allowing the reader to BE in Satsang while absorbing its content. I love the Satsang messages of Swami Amar Jyoti, which fill me with love and a greater appreciation for life. The variety of articles and subjects from various sources provide the reader with different ways in which to tap into the spiritual well, all leading to the same place. I look forward to each issue and feel like an inner light is turned on a bit brighter with each reading. I can tell that the individuals responsible for putting the magazine together do so out of an act of love. R. K.
I love the magazine, in all of its reincarnations over the years. It is a wonderful cup of lightness and wisdom from all its contributors. C.L. Thank you for producing such an outstanding publication. Every issue has so much deep wisdom—you are doing a great service to the world. Thank you and keep it up. M. Z.
I just bought your magazine …and want to thank you so much. It is a breath of sweet air to me. My journey, at this point, is very solitary and it warms my heart to have contact with others whose understandings mirror my own. From the cover of the child with those soul touching eyes to each and every article in this issue my spirit was fed. How many magazines can do that for you? Thank you so much for the light and soul upliftment you bring to all those who are lucky enough to have discovered Light of Consciousness. M.
We love your magazine. Thank you for inspiring and Enlightening the World! I think your journal is superb, one of the best on the market. It holds to a high level of spiritual discussion and is wide-ranging and well written. I think it is more interesting than the other journals on the market. R. M.
It is a treasure chest of beautiful wisdom. S. S.
Thank you for creating this magazine. I feel like I’m in Kirtan singing when I read the articles. There’s a communication with the Divine that occurs. The writing is great, the photography wonderful and messages deep. A. S.
We find Light of Consciousness to be always an incredible offering—and beautiful. B. J. The world needs this magazine. C.T. Yoga in the higher sense….i even like your ads! D. R.
Perfect just as it is. I’ve never enjoyed a more beautiful encounter. T. G.
Love and Wisdom seem to emanate from each page and fill me with joy and happiness. I feel like a child let loose in a sweet shop when I read your words. R. H.
I have been through a lot in the last few years and your magazine has been a cherished friend to me…writings like yours give hope and inspiration and therefore it gives strength. And strength helps us to keep helping other people and that’s what it is all about. M. L. M.
Thank you for bringing the Light of Truth to the masses. 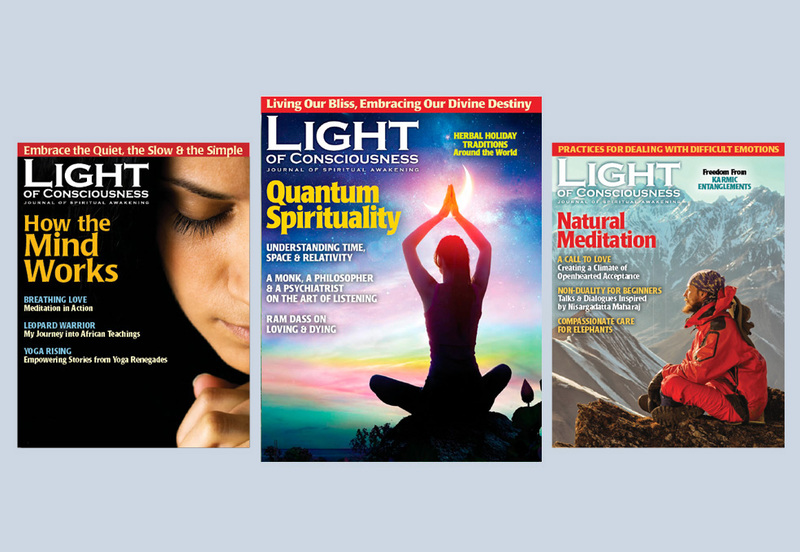 L. A.
I appreciate that your magazine articles are bringing science and spirituality to a common platform, which is very valuable for our age. R. S.
The high quality of articles and variety of spiritual wisdom from different traditions and photography is outstanding. If you ever need someone to nominate LOC for the top award as a spiritual magazine, par excellent, please let me know. A. G.
Your magazine has, at times, been the difference in my well-being spiritually. It helps me be kind when I’m really mad and (helps me) detach when I want to react. You do important work and I as a journalist of 15 years love you for it! C. R.
I cannot tell you just how your magazine, the wisdom, the beauty and the inspirational writings have helped me over the last several years. I am grateful that this kind of quality and deep thoughtfulness exist in a magazine. Thank you for years of inspiration and learning. M. L.
One day recently I happened (does anything ever just happen?) into our bookstore and noticed the latest copy…I knew it was meant for me. I cannot begin to describe the feeling that came over me at the time, but I can say that as I read each article a part of me knew what was coming, and since I am an open-minded 64 year old I recognize my truth as it comes to me. I feel like a child in fairyland. I am awestruck and humbled and ever so grateful for each new tool as it appears “just when I need it.”. May the God source within and without bless you all so that you can continue to put out such a helpful magazine at a price I can afford. B. S.
Your magazine inspires me! I love it! S. G.
Please continue to provide the outstanding articles, which are very thought provoking and inspirational. J. V. D.
I'm so grateful I found this magazine. It is completely in alignment with what I believe. I've recommended it to several friends. In terms of suggestions, stay the course you're on. It is much needed! J. S.
This magazine! It's a life-saver! Of all the magazines out there, this one is so valuable. I appreciate it so much! L. R.
Simply a wonderful publication—one of my favorites. I look forward to each issue, the best magazine of spirituality! Thank you and Gassho (Buddha's Blessings) to Master and all the staff! Rev. Dr. R. C. P.